The Lurleen B. Wallace Department of Nursing offers a Bachelor of Science in Nursing (BSN) degree, which enables the program graduate to apply to take the registered nurse (RN) licensure examination. Students begin the nursing program by taking academic, core requirement courses (see plan of study below); a separate application is filed to request admission* into the clinical portion (upper division) of nursing. Students are admitted* to the upper division of nursing in the spring and fall of each year. Those seeking admission* to nursing must contact the Director of Student Services at the Department of Nursing at least three months prior to date of entry to establish records for acceptance* and complete the application process. All applicants must have an ACT score on file. The ACT test must be completed within 5 years of the application deadline. 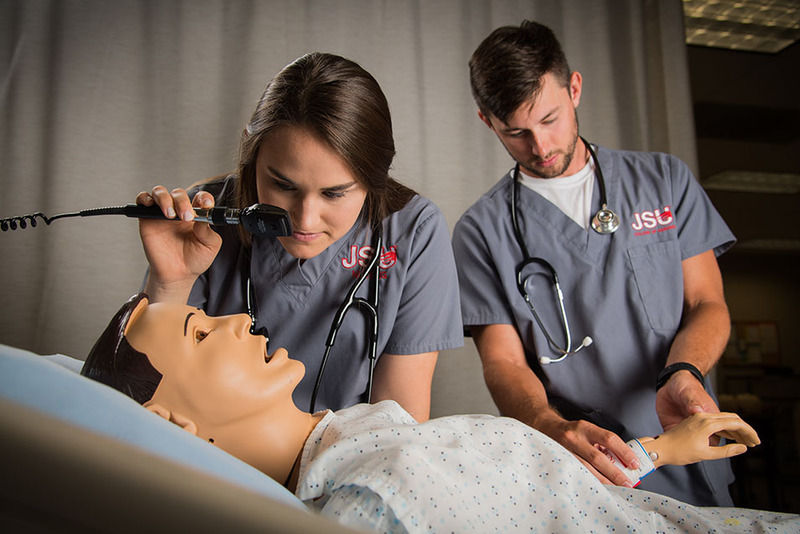 JSU has ACT score guidelines for admission to the university as a freshman student but those policies for admission to JSU are unrelated to the subsequent use of the ACT for admission to the upper division nursing program. A minimum ACT of 20 (composite) is required to apply. Students for whom English is not their native language must present TOEFL (Test of English as a Foreign Language) completed within four years and meet the Department of Nursing TOEFL standard of: 560 for TOEFL written (paper-based), 220 for TOEFL CBT (computer based), or 83 for iBT (internet based). Criminal background checks and drug screens are required for all nursing students. Students that graduate the BSN program may be denied licensure to practice by the ABN, or by any other state board of nursing, based on a criminal history, drug or alcohol abuse, or other issues. Prospective applicants for admission to upper division nursing should review the Alabama Board of Nursing's Regulatory Questions for Initial Exam Applicants. The Department of Nursing reserves the right to request information from any healthcare licensing agency, registry, or state board, to discover if any *admitted student or applicant for admission has had adverse action against them related to employment or volunteer work, or any other involvement in patient care. Any findings of suspension, restriction, revocation, or any other adverse action taken by a board of nursing or any other certifying agency related to patient care will result in denial of admission* or dismissal from the program. See JSU Catalog for more information regarding admission*, denial of admission, and qualifications for RN licensure. *The term "admitted" refers to assessment of select criteria for upper division coursework as defined in the JSU Undergraduate catalogue.